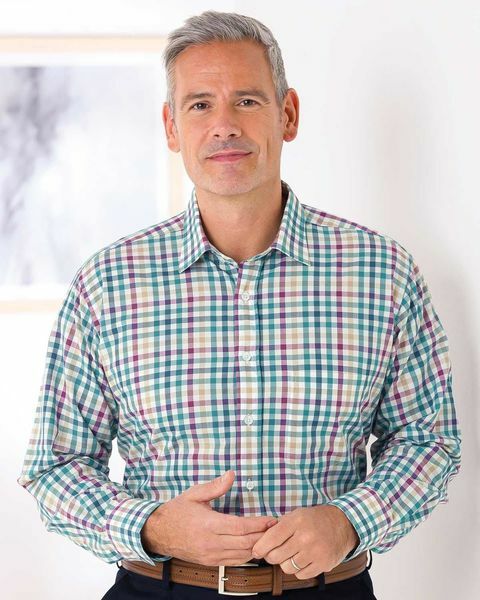 Men's cotton checked long sleeve shirt. Machine washable. Sizes M-XXL.